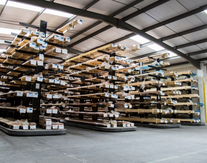 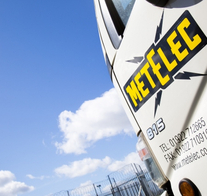 Metelec ltd was established in the UK in 1992 and is now the largest specialist stockholder of Copper bar and Copper Fabricated Busbar components in the UK. 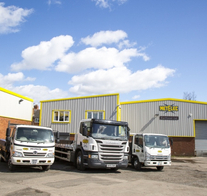 We operate from two strategically placed warehouses close to the main motorway network. 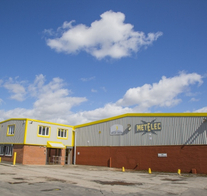 The head office is centrally located in Walsall – West Midlands which contains some of the most up to date racking / storage facilities and full engineering facilities are located in 20,000 sq ft of warehouse and 3,000 sq ft of offices this complete with in excess of 1,000 tonnes of Copper bar and our own fleet of three wagons allows us the ability to offer our customers a next day service from stock. 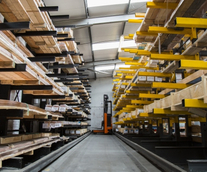 The second site is located in Leighton Buzzard – Bedfordshire consisting of 6,500 sq ft of warehouse and 1,000 sq ft of office space carry up to 300 tonnes of copper and contains major processing capabilities for the manufacture of fabricated busbar systems as well as its own dedicated 7.5 tonne wagon again offering total flexibility to customer requiring service in the southern part of the UK.